Deadline have reported that Steven Spielberg is to return to sci-fi and direct a movie based on a book by Ernest Cline. 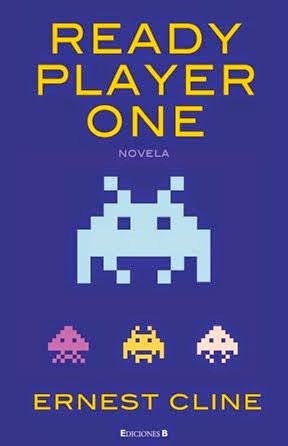 The name if the movie is 'Ready Player One.' As you can guess from the title the story is based in a virtual world. The other big news is that this will see Steven Spielberg returning to Warner Bros after fourteen years. The last was A.I. Artificial Intelligence in 2001. This of course will heighten speculation of who Dreamworks will be teaming up with their distribution deal once Disney's contract ends next year. Could Warner Bros be the new leader? The book takes place in 2044 and follows the story of a virtual reality game creator who offers up his entire company to the best player who can find an Easter egg in one of his many virtual worlds via a game called OASIS. A teen player named Wade Watts decides to take it on after millions have failed over many decades. The key to winning the game is a plethora of pop culture clues from generations before. Whomever figures it out and wins the game (without having their avatars killed in the process) takes over the entire OASIS empire. Stay tuned. Read the full article from Deadline here.